Families in the MoW Food Bank program were delighted with the extra goodies they received this month. 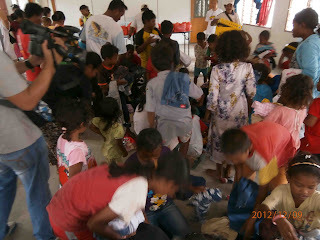 In addition to the usual grocery items, their children also received school bags, stationery items and exercise books. 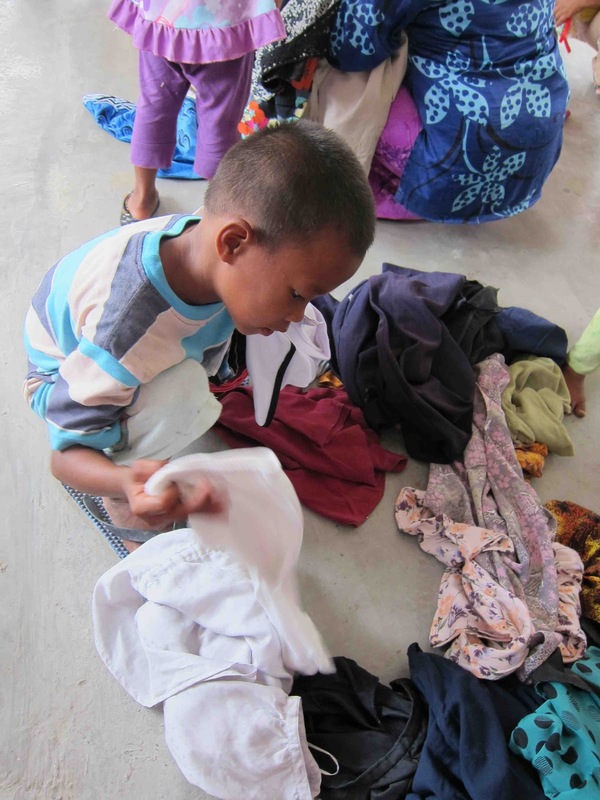 One of the children from Jinjang who is going on to Form 1 in 2013 also received a pair of shoes, 2 white shirts and 2 pairs of pants courtesy of June. His books will be covered by Andrew. 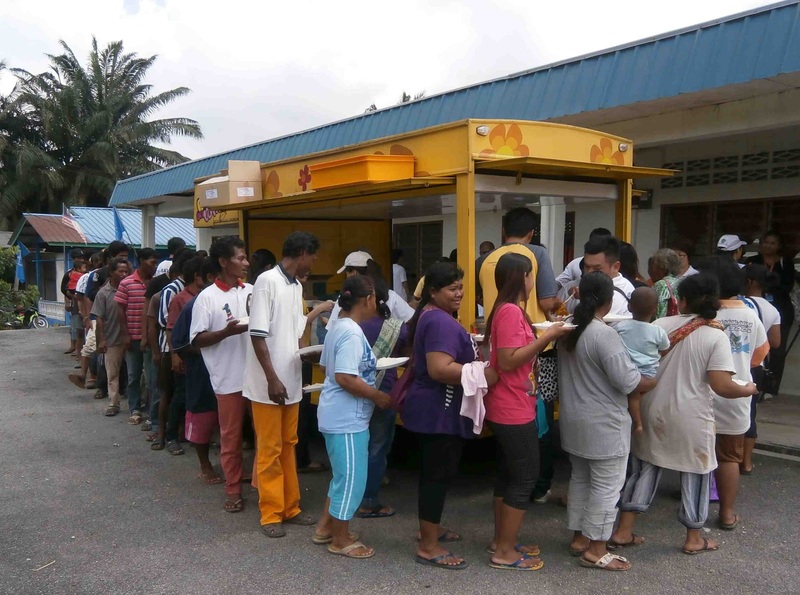 Starting from Jan 2013, MoW's Food Bank program will be expanded to 14 families. 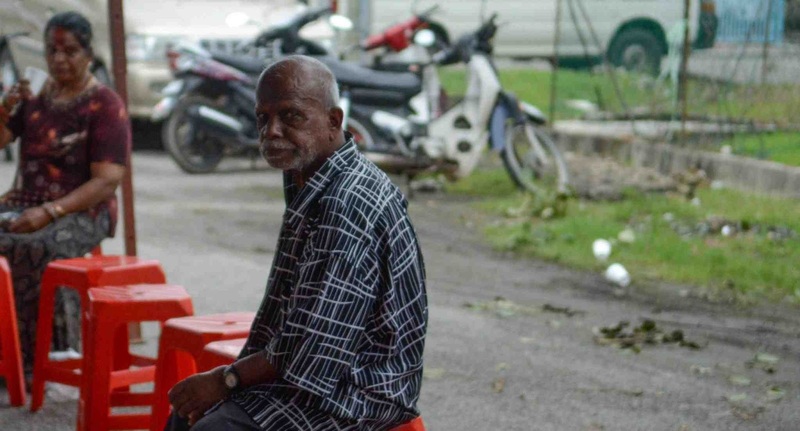 The cost of the groceries is about RM100 per family per month. 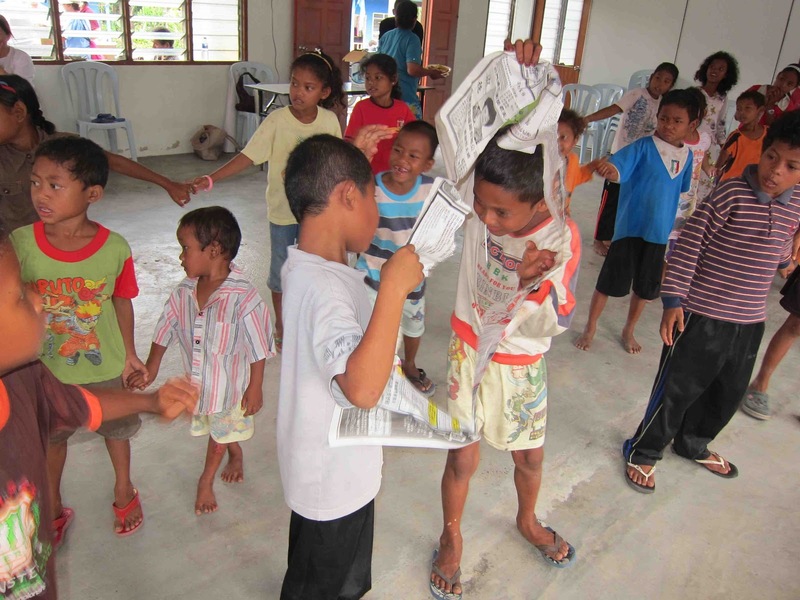 We welcome sponsorship from donors to help pay for the groceries for this program. If you wish to contribute to this program, please contact June at trccpenchala@gmail.com or 03-7784 9002. Thank you in advance for your kind support of these families. 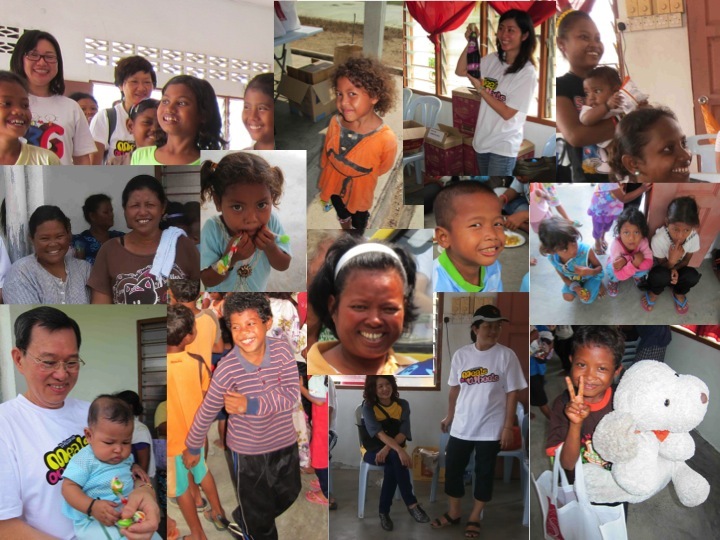 These happy faces are testament to the joyful feelings of the volunteers and recipients, both young and old, at the Orang Asli Village in Pulau Indah. 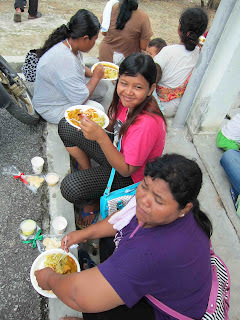 These pictures were taken last Sunday, 9th Dec 2012, when Ti-Ratana MoW celebrated Christmas with this community. 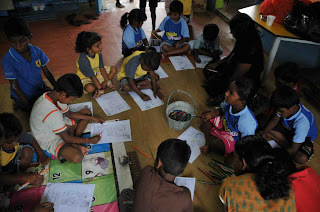 The children had a whale of a time with a line-up of exciting activities served up to them. Catherine played MC and host, and entertained the children with fun and simple Q&A and rewarding them with candies and lollies. 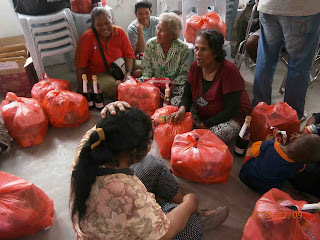 The mothers were also given the chance to express their feelings and wishes. 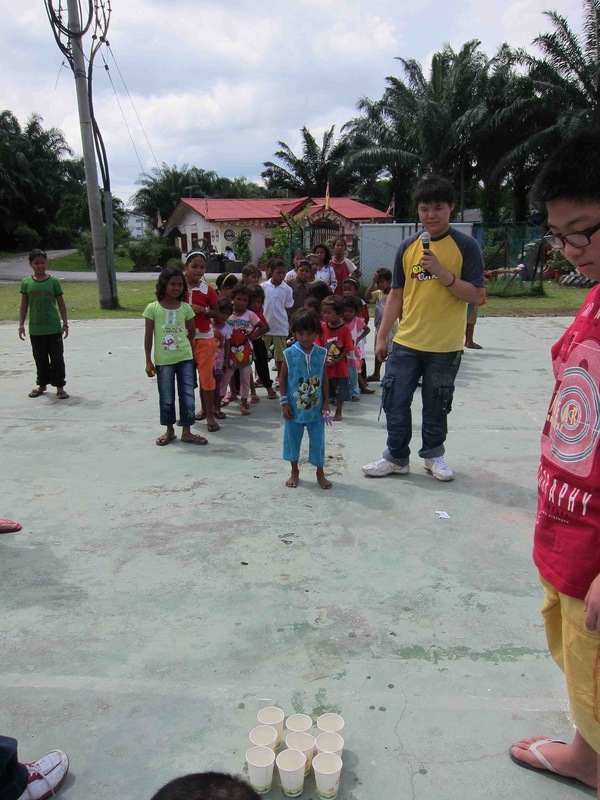 Derrick and friends played some fun games with prizes and taught them to do the infamous Gangnam dance, which further jazzed up the jovial mood. 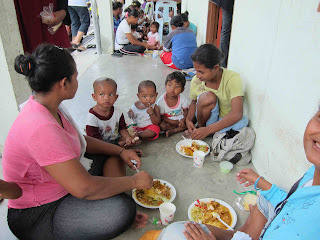 Everyone was then treated to a delicious chicken curry lunch, complete with pudding cups and gingerbread cookies for dessert. 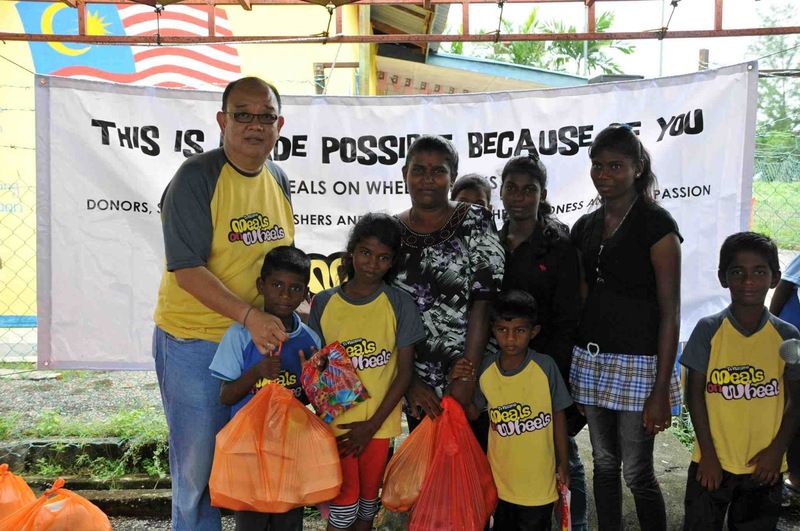 And no MoW party will be complete without presentation of goodie bags to the families. 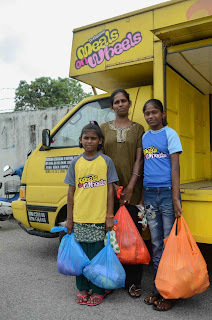 In addition to the basic stuff like sugar, mee hoon, cooking oil and salt, the families also received Danish butter cookies, Horlicks 3 in 1 packs, Ribena, instant noodles, sweetened creamer, a bar of soap and a tee-shirt. 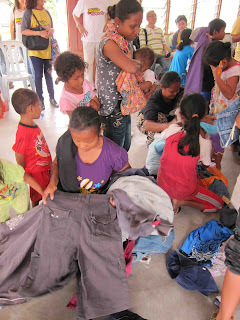 But the thing that got them most excited was the pre-loved clothes, shoes, soft toys, etc. 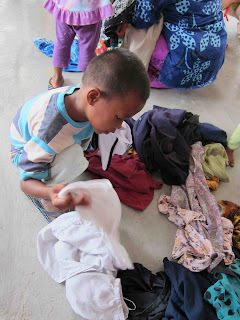 It was such a sight seeing the children and their parents sorting out and choosing the items that they like ... kinda like MoW "pasar malam" (night market)! 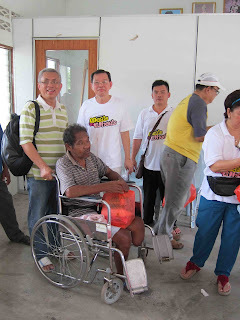 The Star Online crew joined us at the event and interviewed our Chairman as well as the mothers and children. 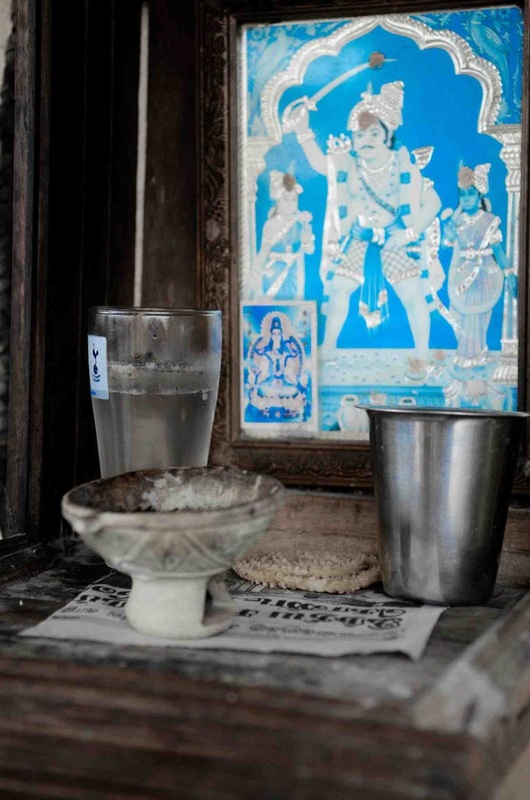 Click below to view their coverage of the event. It was indeed a Sunday well-spent for the volunteers ... serving lunch, playing games, mingling and chatting with the mothers and children, but most of all, the satisfaction and gratification from seeing the smiling and delighted faces of these folks is priceless. Brother Billy's workshop and his participants. 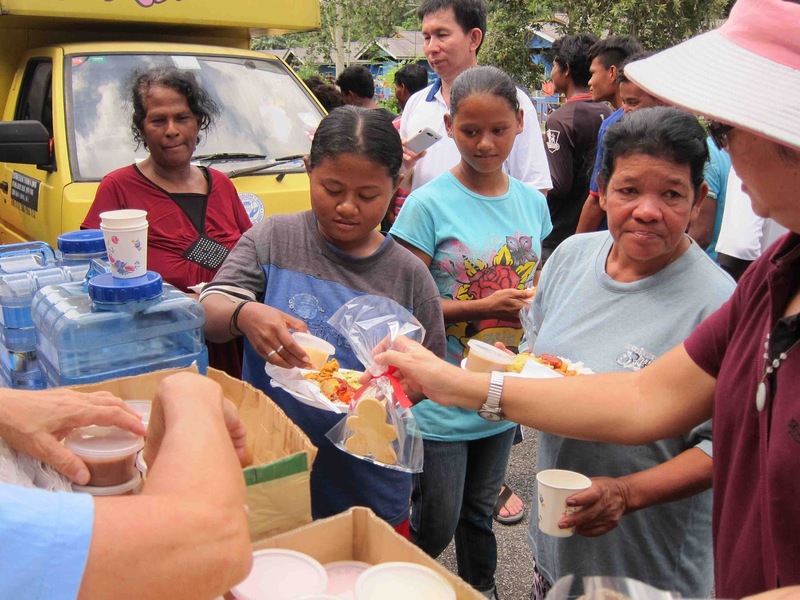 OUR UTMOST GRATITUDE TO ALL DONORS, VOLUNTEERS AND WORKING COMMITTEE OF MEALS ON WHEELS. MAY ALL THE GOOD MERITS FROM YOUR KINDNESS BRINGS HAPPINESS AND JOY TO YOU AND YOUR FAMILY. 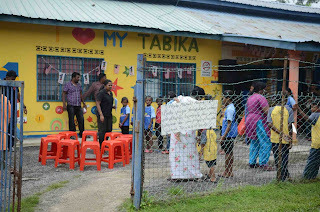 Before we departed, the Head of External Affairs, En Sunyi requested our help to set up a library for the children. We will definitely do our best to fulfill the community’s wish to have a library. We will be grateful for contribution of used and new books that we hope will cultivate good reading habits amongst the children. 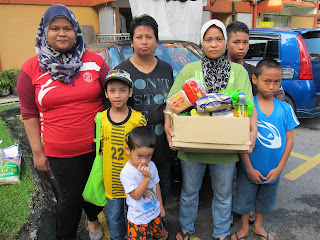 MoW Food Bank grocery delivery for the month of November was carried out on the 27th. Maran and Vijaya's family is always our first stop in our MoW Food Bank delivery rounds. We forgot that it is school holidays and arrived at 8:15am, to find the children were all still asleep! 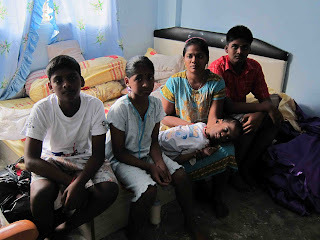 So instead of taking the usual pictures of the family with the groceries, we snapped a picture in the bedroom. Vijaya requested for book shelves for the children to keep their books. A week later, we delivered two simple bookshelves to the family. Next stop ... PPR Taman Melati in Gombak. 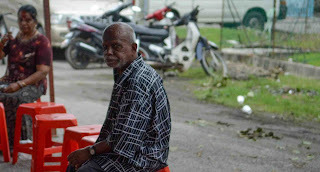 As usual, the families are already awaiting our arrival at the car park next to the block of flats they live in. 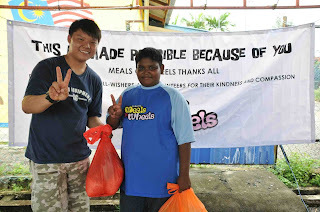 Ivan and Andrew delivered the groceries to the two families in Jinjang in the same week. Thanks to our generous donors who have supported the MoW Food Bank program since its inception in Oct 2012. We planned to expand the program to include more of the urban poor families. 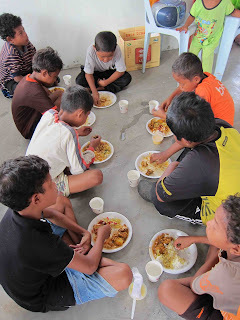 If you wish to contribute to this program, please contact June at trccpenchala@gmail.com. 3rd Dec, 2012: Updates on program, volunteers, donors and wish list. 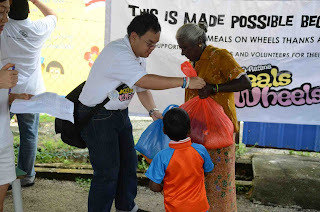 With the event coming up this Sunday, we would like to thank all donors and volunteers for coming forward to help make this event a more memorable and enjoyable for the Orang Asli community in Pulau Indah. In terms of volunteers, we are still short of a photographer for the event, and a couple of other duties below. 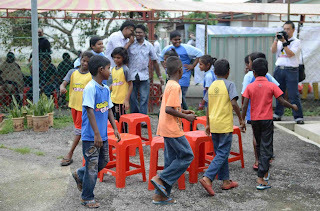 Anyway, whether its for a specific duty or otherwise, if you are free this Sunday, do come and join us for some good old-fashion fun and games with the folks and children at Pulau Indah. For those who are would like to participate and have yet to register, please forward your name, contact number to June at trccpenchala@gmail.com. We are planning to give each family a grocery bag of foodstuff as proposed above. You are welcome to donate any of these items plus toiletries, household cleaning products and other foodstuff, but please bring 70 (or multiples of 70) pieces of each item to ensure equal distribution to all 70 families. 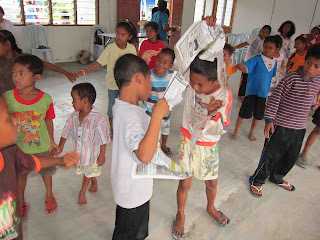 All items must be delivered to Ti-Ratana Penchala Centre by 5pm, Monday, 3rd December 2012, to give the committee sufficient time to buy any outstanding items and pack the items. 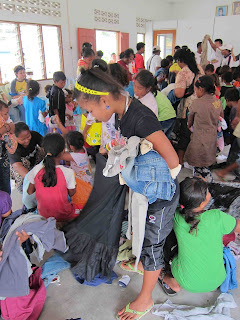 Pre-loved but good condition clothes for children and adults will also be useful. Please pack them properly and just bring them along in your vehicle on the event day. For all items, you may sponsor the actual items in whatever quantities or donate cash (any amount) by banking into our account: CIMB A/C No. 14660000259057, A/C Name: Ti Ratana Community Centre Penchala. 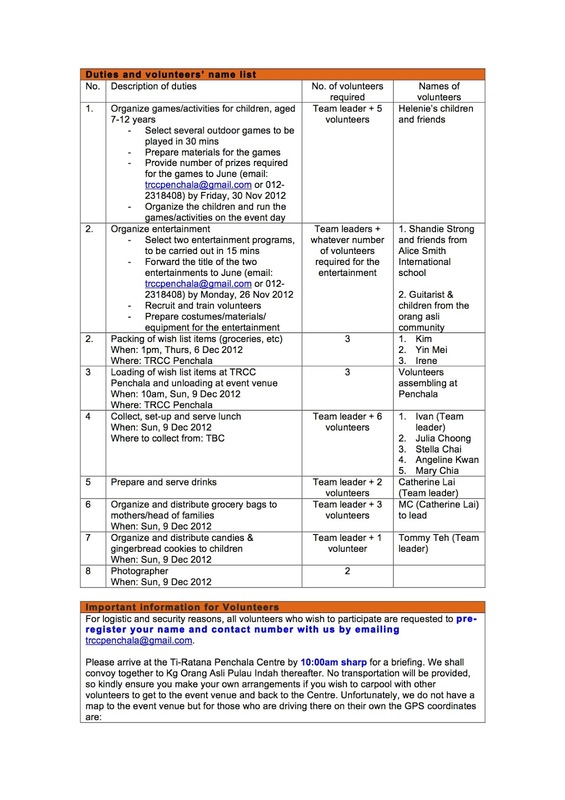 For more information or if you need any clarifications, please call June at 03-77849002 or email trccpenchala@gmail.com. 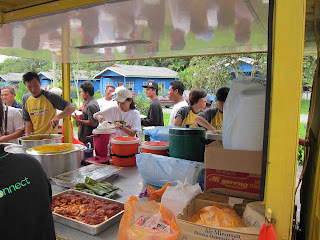 Our utmost appreciation to all donors and volunteers and lets have a wonderful party this Sunday! Ti-Ratana Meals on Wheels (MoW) volunteers turned up early at the centre to convoy to Dewan Taman Damai in Kapar, to celebrate Deepavali with 45 less fortunate families and their children. 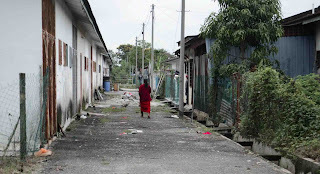 After loading bags of goodies onto the MoW van, we left for Kapar at 10:30am. Traffic was smooth and we got there in less than 45 minutes. What can be more inviting than being greeted by upbeat Tamil songs blasting from the speakers!!! And the families together with their children are already at the venue awaiting our arrival. .. they were already having a jolly good time. 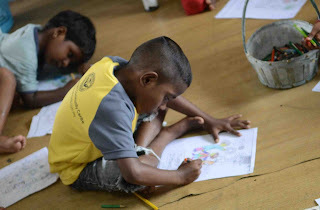 Some of the younger children were in the hall participating in a coloring contest. 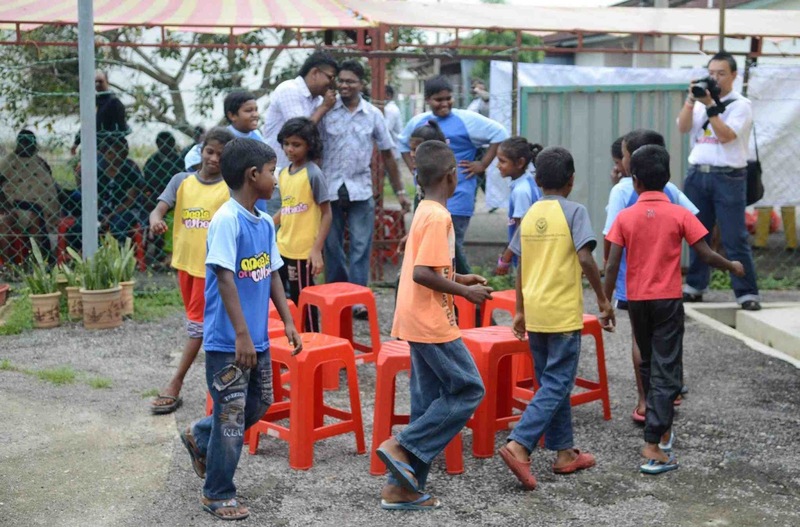 Musical chairs were a big hit as the children tried their best to outdo each other and win a prize. 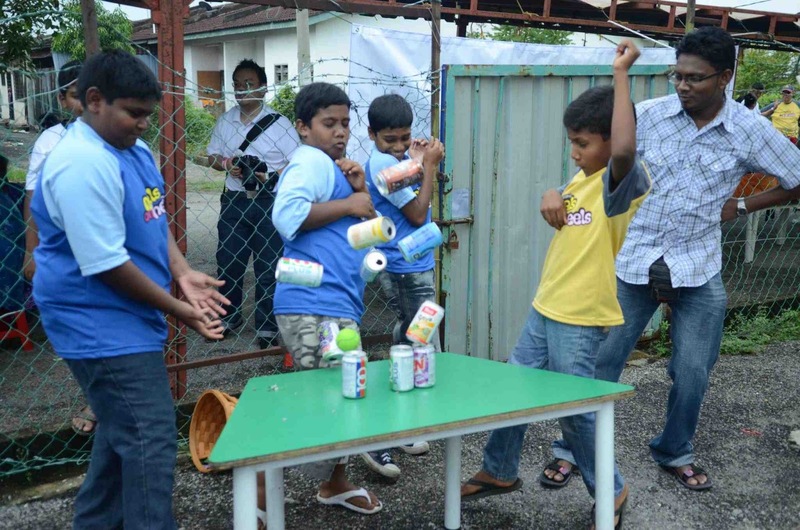 The children also had a blast trying to knock down tin cans with a tennis ball. 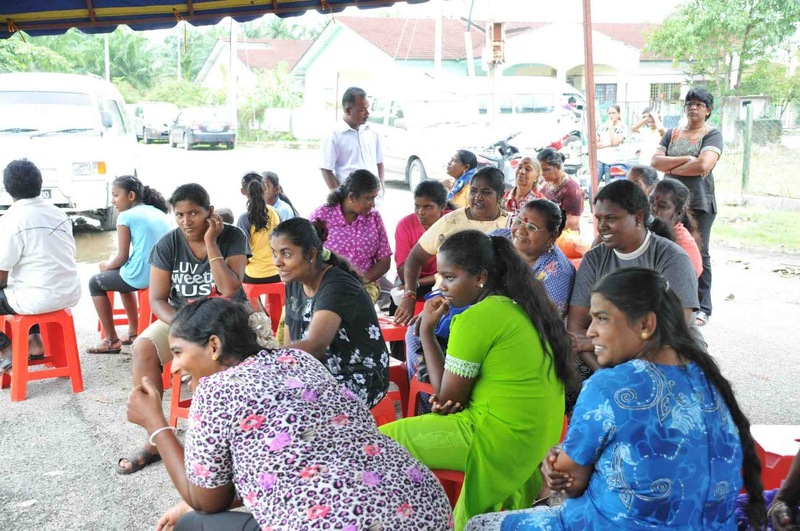 Mothers were patiently sitting under the tent, while watching the children at play, and probably thinking of the preparations at home that still need to be done before Deepavali. The others were just hanging around enjoying the music, and taking in the festive atmosphere. And the winners of the games were delighted when they received their prizes. 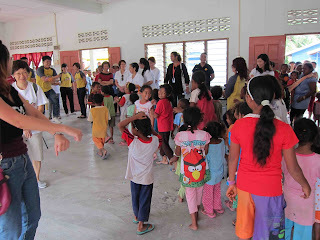 After the children had their fun and games, it was time for the mothers to receive their goodie bags. 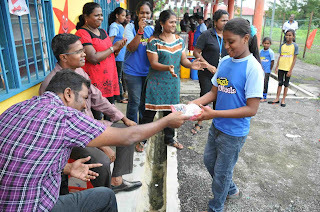 Puan Kamatchi, Puan Sundari and Puan Suseela were amongst the first three families to receive their gifts, comprising a grocery bag of muruku flour, cooking oil, dhall, sugar, curry powder, cordial and chicken. 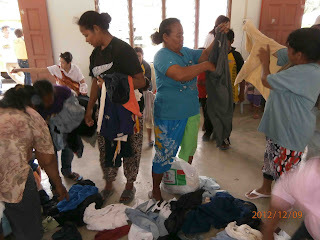 Each mother also received a sarong, and the children were delighted with the goodie bags received. And last but not least, they all went home with packed lunch containing rice, fried chicken, and vegetables. 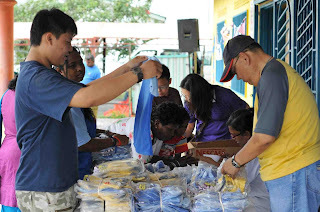 Volunteers then took turns to distribute Deepavali goodies to the rest of the families. After the distribution of the wish list items, some of the MoW volunteers visited several family homes to see for themselves the living condition of these families. 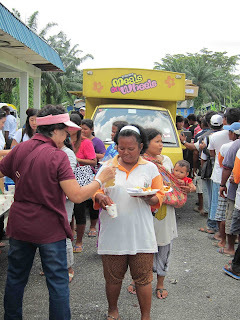 The event would not have been possible without the support from the local community leaders, i.e. 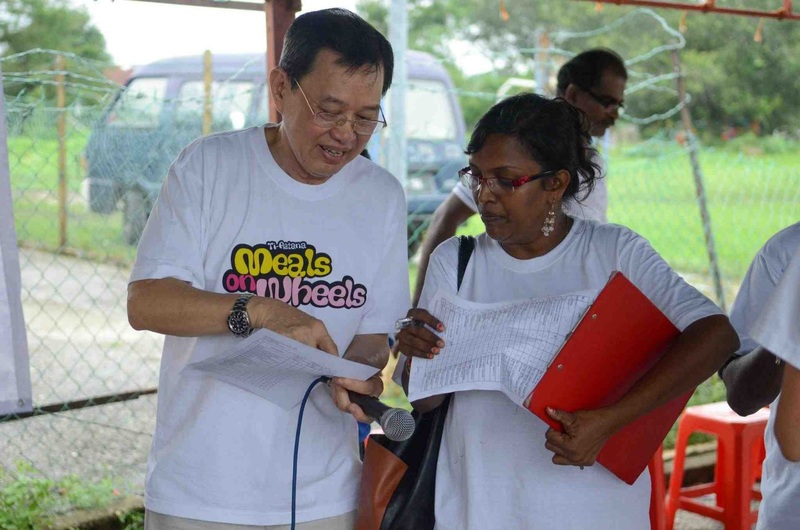 Pastor Mageson, his wife Elizabeth and Puan Nalini, who helped select the 45 deserving families for this event, and communicated with the families about the event. 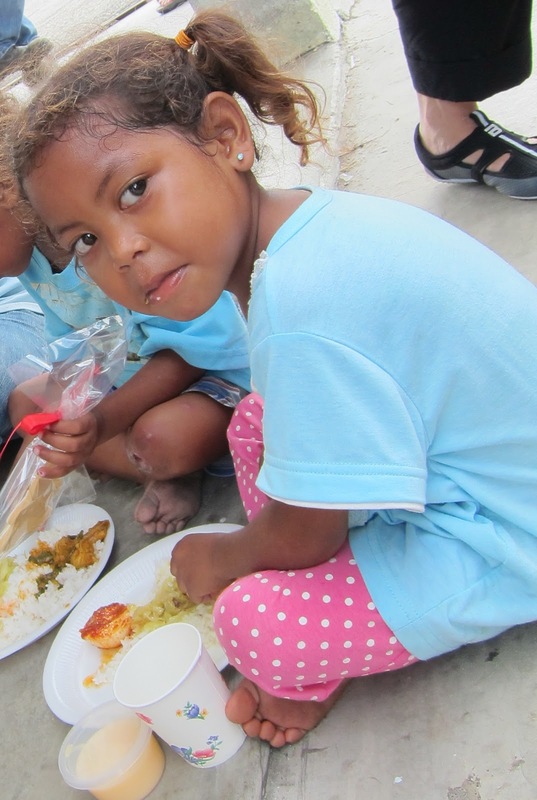 And of course, our heartfelt appreciation and big thank you to all our generous donors. • All the participants of Bro Billy Tan's workshop held in Ti-Ratana NBC Klang recently for their generous donations to our Meals On Wheels Projects. 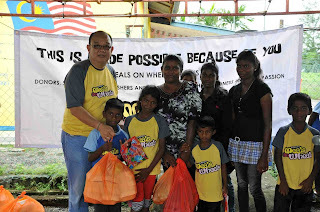 Because of your generosity, these families and especially the children will have a more festive and memorable Deepavali.